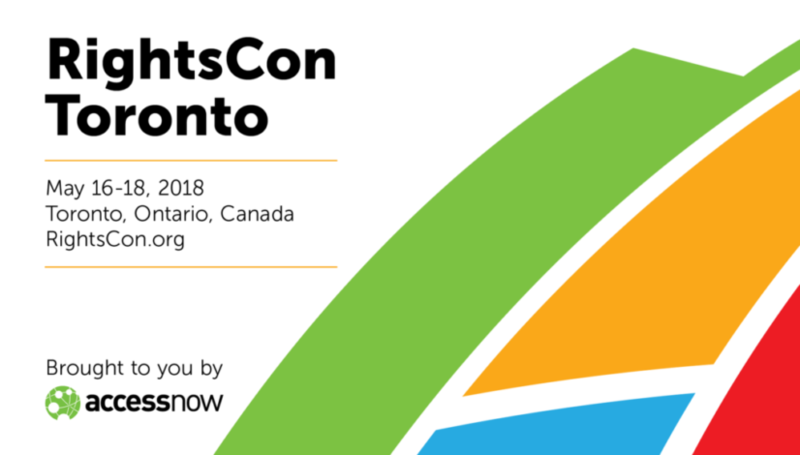 Attending RightsCon in Toronto? Huaira is taking part in the following panels. Activists from Sri Lanka, Ukraine, Venezuela, Zimbabwe and Ecuador share compelling stories of their work to advance an internet that respects fundamental rights, and is an inclusive, participatory democratic space. These stories generate a conversation among the audience to include other countries and creative approaches to activism under similar circumstances. Dominic Bellone will be moderating this panel. María José Calderón, Huaira´s President will be speaking in this panel. Mariengracia Chirinos (Venezuela), Bekezela Gumbo (Zimbabwe), Amalini De Sayrah (Sri Lanka) and Andriy Kulakov (Ukraine) will also be panelists. Elections and information disorders in Latin America. Most of the conversation regarding ‘fake news’ has been dominated by the latest presidential campaign in the United States and Europe. However, in Latin America misinformation is not one of the biggest challenges today, but has been for a very long time. We want to foster an open conversation and provide space for sharing anecdotal evidence, compiled across the region, related to the use of different technologies, or organised strategies, to introduce noise into the information channels available to the public. 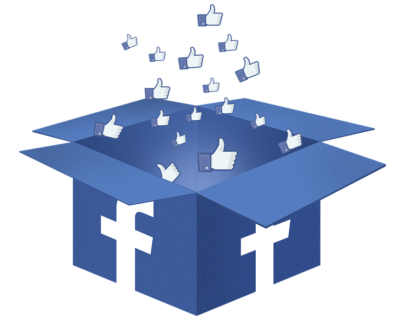 In recent times, there is evidence of the use of bots, centres of paid troll armies, volunteer work of online disinformation, and tools for targeted marketing (including the hire of specialised agencies), all used to mobilise for or against political ideas and candidates. With an ongoing election cycle coming in Latin America we perceive the urgent need to gather more data about the phenomenon, and at the same time discuss with civil society organisations the most effective strategy to drive public attention on these manipulations, fostering critical thinking. It is also relevant to discuss and design strategies to educate and get the involvement of local authorities around the acquisition and use of these technologies, and see how they should be assessed within the local electoral laws. 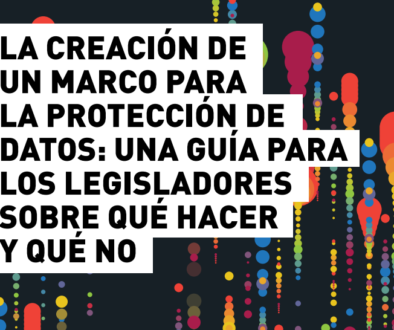 Organized by Derechos Digitales. María Paz Canales will be moderating. Iria Puyosa, Huaira researcher on freedom of expression and internet policy will share findings from last year study on Ecuador presidential campaign and from Venezuela election that is scheduled for May 20. Yes. Huaira will be presenting data on Venezuela almost in real time. Gisela Pérez de Acha (México), Renata Ávila (Guatemala) and Taisa Sganzerla (Brazil) will also be panelists. For most people infraestructure is invisible. Regarding the representation of the internet infraestructure (in particular submarine cables) in the public imagination, Nicole Starosielski in her book “The undersea network” says: “…more than any intentional desire to obscure cable systems their invisibility is due to a broader social tendency to overlook the distribution of modern communications in favor of the more visible processes of production and consumption.” This goes by until the infrastructure ceases to work properly or at all. In that particular moment you should become aware of the invisible. Shutdowns are an extreme mechanism of censorship. But what if a shutdown is presented as “an outage due to a fracture of the submarine cable”? What if instead of shutting down the internet during protests or demonstrations, an authoritarian regime talk the ISPs into slow the internet service to an extent that almost nothing gets out or get in? What if some government decides let the infrastructure to go rotten? In these cases the responsible for the censorship try to mask their doing to avoid international condemn. How can the users deconstruct these stratagems? It is important to reflect about the infrastructure. While it works, we think that the Internet is like the air, it is there. But when it stops working we begin to reflect about its true nature. Authors like Nicole Starosielski say that the public have an inexact representation of the infrastructure of the internet. People tend to think about it as distributed, aerial, when in fact it is not. There is a backbone of submarine or land cables and huge servers, there is a very material infrastructure, and that infrastructure have owners. Who those owners are and what is the nature of their relationship with the authorities is worthy researching, especially when we are dealing with the phenomenons cited above. What if through influence trafficking an individual with close ties with a regime got the licenses to own most of the submarine cable that connect an entire country? What if the submarine cable company disconnect a country for several days claiming a technical failure? What if the reports are vague and you don’t have any mechanism to know if the company claim is for real? Is that a possible scenario? In the case of throttling, what are the state mechanism to get private and even international ISPs to compliance? María José Calderón, Huaira´s President will moderate this session. Iria Puyosa, Huaira researcher on freedom of expression and internet policy will discuss Venezuelan strategy of des-investing on infrastructure as a hidden mechanism for curtailing access, as well as intentional shutdowns and throttling during protests. Martha Roldos (Ecuador – Fundación Milhojas), Javier Acuña (Ecuador – Fundación Pakta) and Regina Coyula (Cuba) will also be panelists. Join us for an engaged conversation.